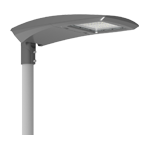 In addition to the issues of costs and engineering, good led street lighting requires careful attention to at least six important aspects of lighting design installation and operation. Getting any or all of these aspects wrong can leave a streets residents living with the consequences for decades. We’ll take a look at each issue. The color over emit light is defined by its color temperature, measured in degrees Kelvin. In broad terms, this boils down to the extent to which the light produced looks cold and bluish or warm and slightly yellowish. Cold and bluish street lighting usually operates at a color temperature of 4000 Kelvin or more and is often classified as being rich in blue wavelength light. 4000 Kelvin light as harsh cold and somewhat unpleasant. It is this harsh light that caused residents in many overseas cities to complain when 4000 Kelvin lights were installed near their homes. An extensive research in the United States and Europe has shown that installing 4,000 degree or higher Kelvin lighting in residential streets is unnecessary for pedestrian and driver safety, and can actually contribute division impairment and safety issues for older drivers. So if 4,000 Kelvin lighting is not essential for residential streets, generates complaints by residents and impacts safety for older drivers. Brisbane City Council and Energex should not rush straight to deploying 4000 Kelvin LED lights across Brisbane. Unfortunately 90% of the LED lights currently being trialed by Brisbane City Council and energy 4000 Kelvin or higher temperature. Careful consideration should be given to expanding the trial to include more 3000 Kelvin and even some 2700 Kelvin lights, and evaluating these less harsh LED lights will roll out across Brisbane residential streets. Different categories of residential street and traffic thoroughfare required different levels of lighting appropriate to the needs of location. 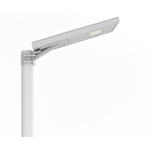 There are Australian standards for designing street lighting that guide engineers on how to design for the minimum appropriate level of lighting required. Casting more light than necessary into a street is not necessarily safer for road users and certainly not more comfortable for pedestrians or residents. Unfortunately, all of Brisbane 17 LED trial streets appear to be significantly more brightly illuminated than their neighboring streets. If this is intentional and exceeds the minimum Australian standard, it raises concerns that a subsequent Brisbane wide rollout of overly bright LED streetlights may have a very significant impact on residents quality of life. More light is not necessarily better. The way a street light is installed can also cause problems for residents. 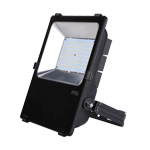 LED lights are designed to be installed horizontally, so that they do not throw light wastefully into the sky and cause light pollution or throw light annoyingly across the street into people’s homes. Many Street light brackets in Brisbane and tilted upwards. So when it comes time to replace old lights with new LEDs, the installation will probably just use the old up tilted brackets, and new lights may not be installed horizontally. 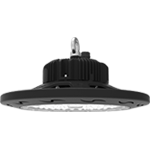 Of the 100 LED lights deployed in the Brisbane City Council and Energex trial, an estimated 90% have been installed incorrectly with an up tilt angle that exacerbates light trespass into nearby homes. This is just lazy design and lazy installation and should not happen. The extent to which led street lights properly direct and contain light onto the target area. Being the public roadway and footpath is the next issue to consider. 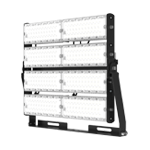 LED lights can be better than older lighting technology as they can be designed to project a well-directed pattern of light onto just the target area. 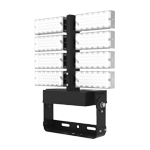 LED lights are manufactured in a range of light distribution patterns. As a result, a better range of LED lights needs to be trialed that best suit the range of street widths and house setback distances we have across Brisbane. Unfortunately, this approach is not evident in the current Brisbane City Council and Energex trial. The LED lights chosen for the current trial commonly cause light trespass from the light fitting across the street and into homes. Even more common is backward light trespass where the light beam spreads too far behind the fitting and illuminates homes and windows behind it. Glare is another major problem for LED lights. As the light source is intensely bright and desires usually do not incorporate any shielding over the LED array below the horizontal. Glare can extend for a great distance beyond a light and can impact driver safety and can also be very disturbing for residents when it enters bedroom windows. Pedestrians may also find a need to squint and avert their vision to the ground to protect their eyes from the glare. LED lights need to be trialed that incorporates shielding down to at least the 80 degree level to help reduce this intense glare. 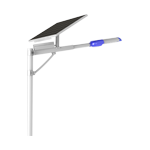 LED street lights can be easily remotely controlled to adjust the timing of when lights are operated at maximum illumination. So when residents are asleep and pedestrian and vehicle traffic in residential streets is negligible. 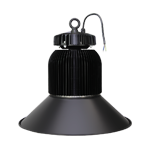 LED street lights can be dimmed and then quickly brought back to full power by timer or motion sensor when required. However, this adaptive control capability is not being trialed in Brisbane. Adaptive control systems can make residential street lighting more comfortable for residents and cheaper to operate for ratepayers. These are six aspects of residential led street lighting you should keep in mind when evaluating if the LED lights in your Street are well designed for the benefit of you, the resident and ratepayer living in your Street. Next Post: How LEDs Work?